Editor's note: This episode is the second part to our previous episode from last week, so if you haven't listen to that we highly recommend that you go to this link before listening to this episode which is the second part to the aforementioned first part. Hello goys and welcome to another installment of Beyond the Wall. 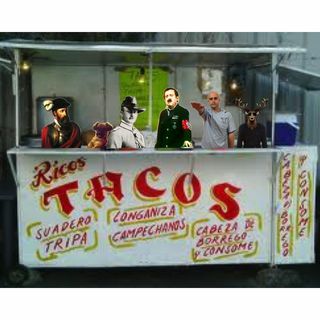 In the taco stand we have: Cavernario and Paul; Special Guests: El Jyostishi and Aureliano. You can find us at twitter, Facebook or you can send us an email or shekels via Paypal to derechalter@gmail.com, we appreciate your donations and we wish to remind our patrons that all of our donations are going to Beto's Arepas fund.